This comprehensive directory offers detailed information on the publishing programs and personnel of the 133 members of the Association of American University Presses. Its features include a subject guide indicating which presses publish in specific disciplines; guidelines for submitting manuscripts; and separate entries for each member press. 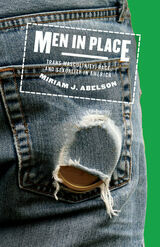 Contact information for AAUP Partners is also included. Each press entry provides telephone numbers and e-mail addresses of its key staff members as well as details about its editorial program. This comprehensive directory offers detailed information on the publishing programs and personnel of the Association of American University Presses’s member presses. Its many useful features include a convenient subject guide indicating which presses publish in specific disciplines; separate entries for each member press that include complete addresses, telephone and fax numbers, and e-mail addresses of key staffers within each press; guidelines for submitting manuscripts; and suggestions for further reading. 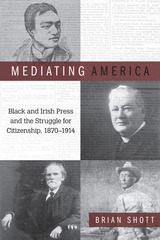 This comprehensive directory offers detailed information on the publishing programs and personnel of the 130-plus members of the Association of American University Presses. Its features include a subject guide indicating which presses publish in specific disciplines; guidelines for submitting manuscripts; and separate entries for each member press. Contact information for AAUP Partners is also included. Each press entry provides telephone numbers and email addresses of its key staff members as well as details about its editorial program. This comprehensive directory offers detailed information on the publishing programs and personnel of the Association of American University Presses’s member presses. Its many useful features include a convenient subject guide indicating which presses publish in specific disciplines; separate entries for each member press that include complete addresses, telephone and fax numbers, and email addresses of key staffers within each press; guidelines for submitting manuscripts; information about AAUP corporate partners; and suggestions for further reading. 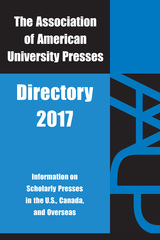 This comprehensive directory offers detailed information on the publishing programs and personnel of the more than 130 member presses of the Association of American University Presses. 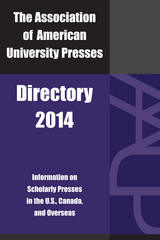 Its many useful features include a convenient subject guide indicating which presses publish in specific disciplines; separate entries for each member press that include complete addresses, telephone and fax numbers, and email addresses of key staffers within each press as well as details about their editorial programs; guidelines for submitting manuscripts; and information about AAUP corporate partners. The AUPresses Directory is an essential annual reference for anyone interested in scholarly publishing, and serves as a guide to the world of university presses. 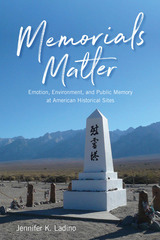 Authors, booksellers, librarians, instructors, and publishing professionals across the industry will find this an invaluable resource, featuring editorial programs and publishing details for all 140+ Association members and much more. 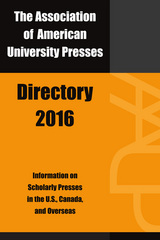 This comprehensive directory offers detailed information on the publishing programs and personnel of the 140+ members of the Association of University Presses. 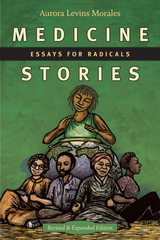 Its features include a subject guide indicating which presses publish in specific disciplines; guidelines for submitting manuscripts; and separate entries for each member press. Each press entry provides telephone numbers and email addresses of its key staff members as well as details about its editorial program. Information about AAUP Corporate Partners is also included.